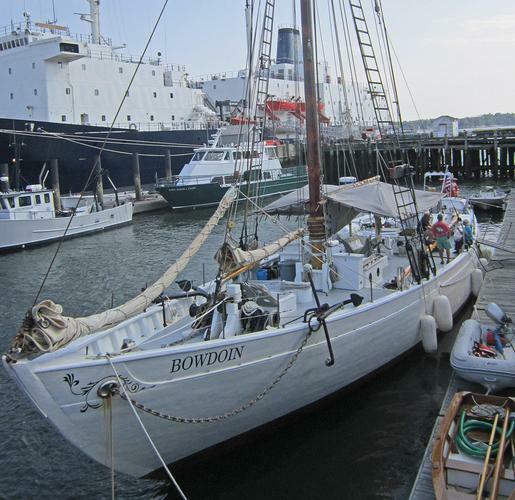 The schooner Bowdoin, a training vessel of Maine Maritime Academy in Castine, Maine, is docked and open for visitors on July 26, 2014. 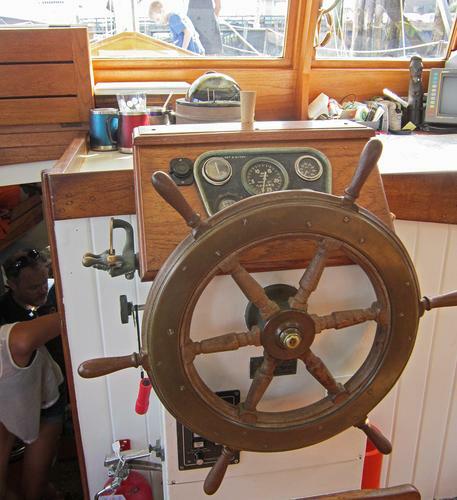 The wheel on Guildive is the original on board the 80-year-old boat, which received a major restoration beginning in the 1970s, and was open for tours on its 80th birthday on July 26, 2014. 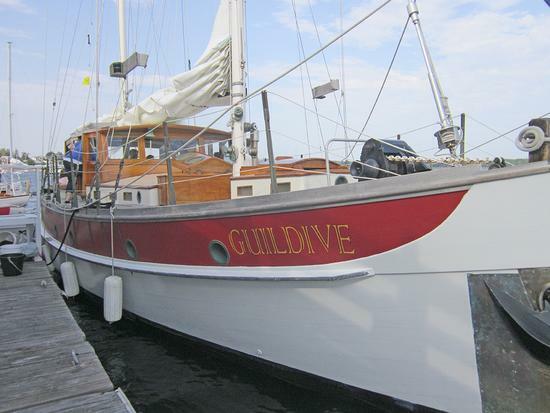 It is docked in Castine, Maine.